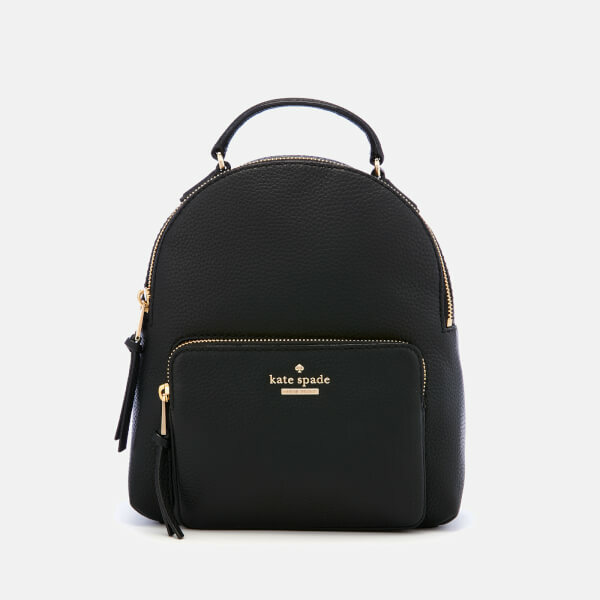 Black micro-backpack from Kate Spade New York’s Jackson Street collection. 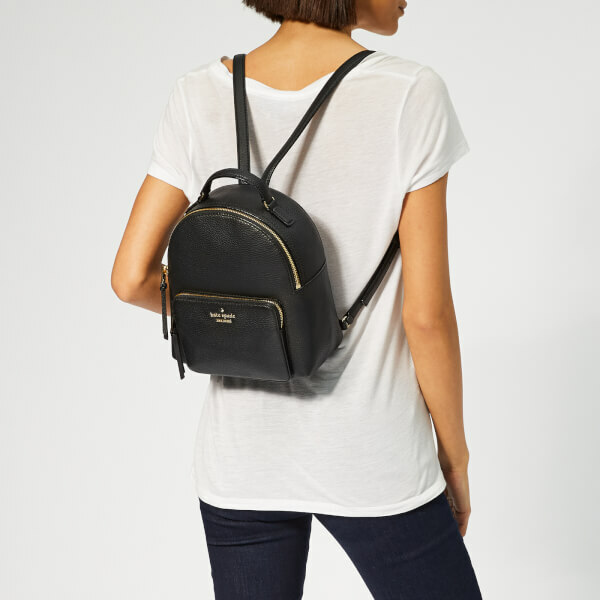 Crafted from pebbled leather, the ‘Keleigh’ rucksack boasts a classic front pocket design with a zippered main compartment lined in the brand’s signature monochrome striped fabric. An interior zip pocket offers additional secure storage for essentials. 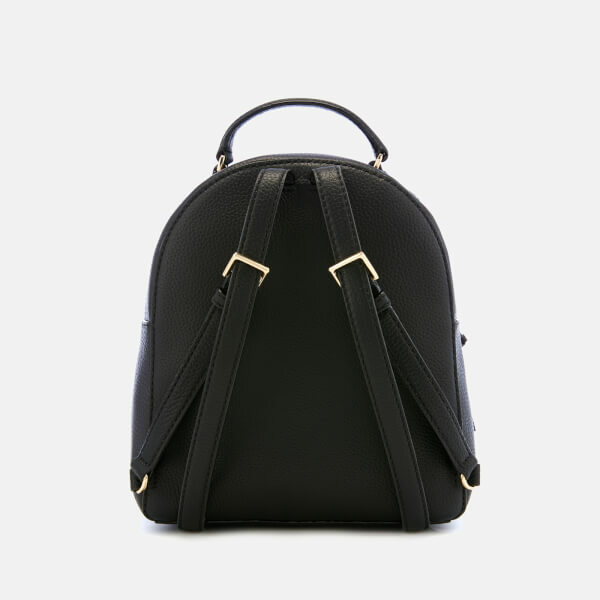 Transported via a top handle and adjustable shoulder straps. 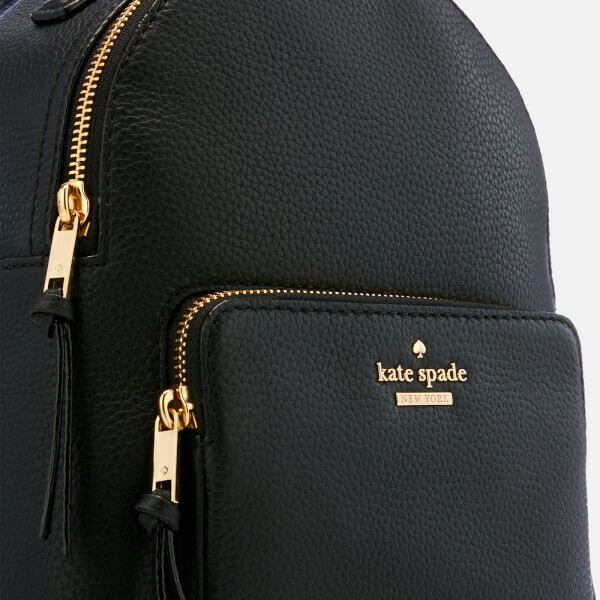 Polished gold-tone hardware. Appliqué branding. Arrives with a protective dust bag.